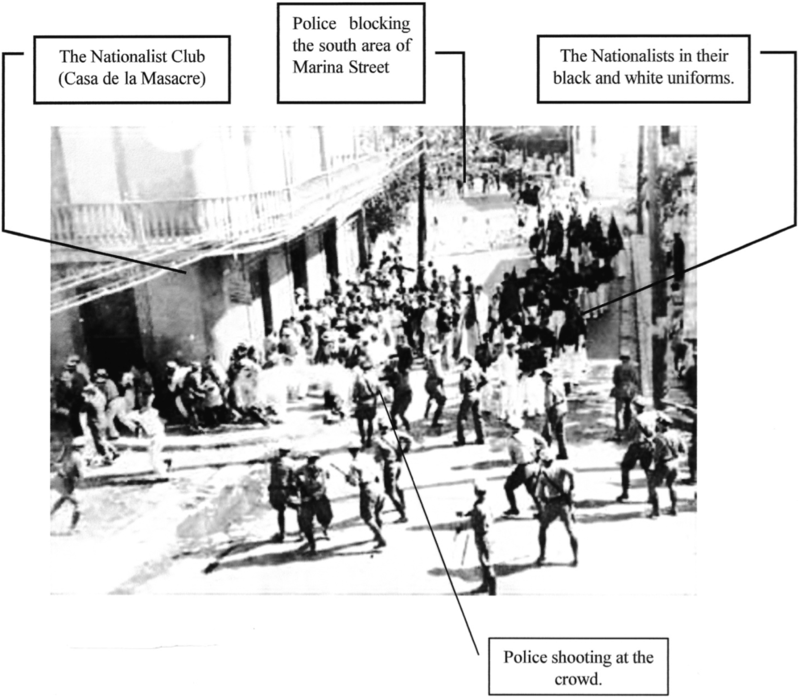 In 1937, on Palm Sunday, seventeen men, women and children were murdered in Ponce. Two hundred more were gravely wounded and rushed to the hospital. Gov. Blanton Winship pretended that his police officers acted “in self-defense,” but this photo proved otherwise. Notice the dozen “Tommy Gun” police at the top of the photo, and the ring of police at the bottom. The people of Ponce had nowhere to go. The police shot them for over 10 minutes. They called it the Ponce Massacre.